m8ts bingo | Get £5 free when you join NOW! M8ts Bingo is a hot new site from Quizzino limited. Launched this year, M8ts Bingo is rapidly becoming the talk of the online bingo town. M8ts Bingo is currently running a welcome bonus promotion hat blows most other online bingo sites out of the water in a bid to draw in customers behind its very new doors. A welcome package of a 250% match deposit bonus is valid on all deposits made up to £50. 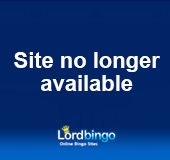 Future deposits are treated to a 50% bonus at this sparkling pink site, and just for registering with www.m8tsbingo.com, players can pick up a free fiver! M8TS Bingo is one of the most convenient sites to deposit at with a range of options open to players to put money into their account with. Visa, Master Card, Neteller, Skrill, Pay Safe Card and U-Kash are all options. Players may also like to learn that customer service and security is paramount at M8ts Bingo with the latest software being used for each, ensuring safe, reliable and honest fair play. If you join now, you will also find that there are currently seven 90 ball bingo promotions ongoing, as well as an additional three for 75 ball bingo running. Four larger non-specific promotions are also currently being held at the site. M8ts Bingo offers incredibly cheap bingo games with sensationally cheap cards and tickets. Their prizes are fair and often greater than can be found in many other online bingo sites. If you are looking to try online bingo for the first time, or are looking for something fresh and new, then you needn’t look much further than M8TS Bingo.